If you’re looking to cultivate hemp or CBD hemp, look no further than a greenhouse package by Fullbloom. 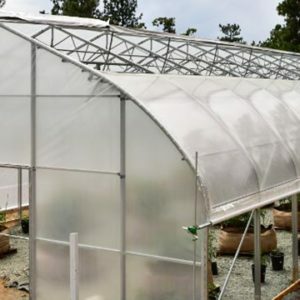 We have custom tailored packages for everything from hemp propagation houses, hemp flowering houses, and fully sealed options for hemp seed production. 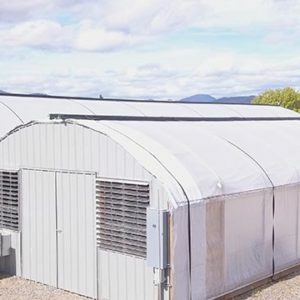 Every large outdoor hemp farm can benefit from using a light deprivation greenhouse. You can start your plants early from seed or clones, veg them up to your ideal height, and then transfer them outdoors when the weather permits. This provides you with much larger and robust plants that will provide a larger outdoor yield. 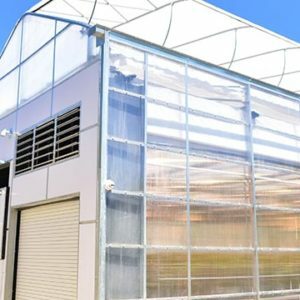 Our hemp propagation greenhouses use the highest quality components, automation systems, and steel that has been thoroughly tested in the cannabis space. Many of our customers propagating hemp/CBD plants will use fixed, rolling benches, or multi level racking systems in order to maximize space and increase productivity. Many growers already realize the benefits of flowering under a light deprivation greenhouse. Not only can you harvest 3-5 times per year, but the quality of your product will be significantly better than an outdoor product. This provides diversity in extra streams of income and is ideal for anyone using the flower for direct sale or for oil production. Our Hemp/CBD flowering greenhouses use the same components and technology as our cannabis greenhouses and provide the best bang for the buck than any other greenhouse manufacturer in the US. High CBD and legal THC hemp seeds cost a fortune, and are hard to find. Many large acreage hemp farms spend hundreds of thousands of dollars on proper genetics and seeds. 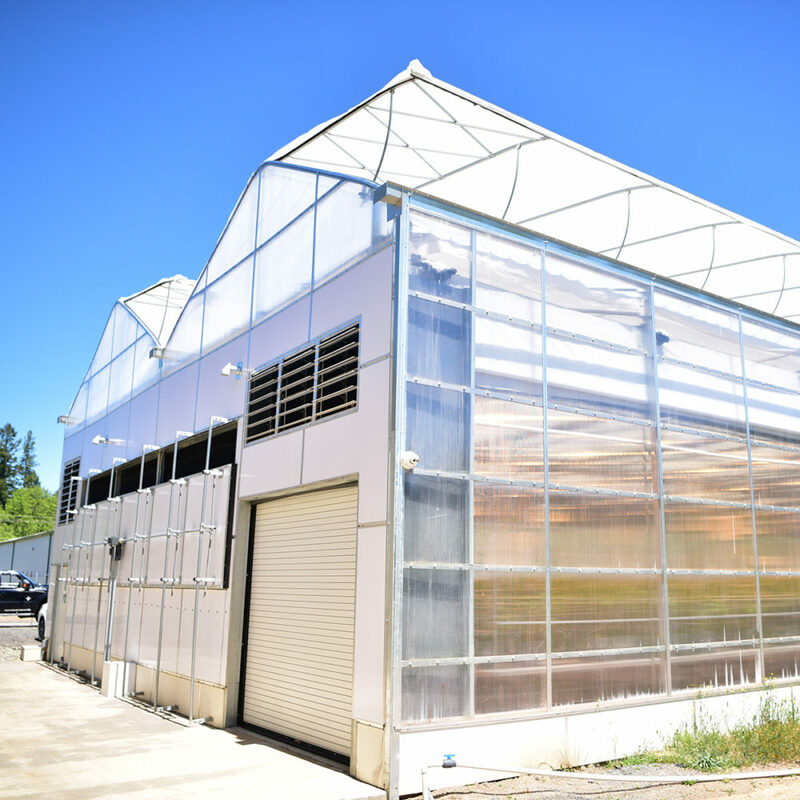 Using a fully sealed and automated greenhouse for seed production is an ideal way to lower costs and improve genetic phenotype testing. Additionally, as seed production is in huge demand, this can provide another income stream. Our Hemp & CBD seed production greenhouses provide the best in class, fully sealed environmental controls & equipment. This eliminates the risk of cross pollinating your outdoor crop and/or your neighbors farm. Grow and test different phenotypes of your seed stock to find the best CBD ratio and to ensure THC is not above content limits. Protect your crop from cross pollination from other farms by growing and flowering in a sealed greenhouse. Harvest 3-5 times per year by using the light deprivation system to control photoperiods. Grow your own seed stock in a sealed greenhouse without risking pollination of your own outdoor farm (or your neighbors farm). Use the light deprivation greenhouse for flowering top quality strains for additional harvests and diversified income streams. Create your starts early inside a light deprivation greenhouse and push out larger plants for a larger overall harvest. Harvest early and sell your product before the market is glutted once every other farm has harvested. Request A Same Day Quote Now!